My 2-year-old son had a rough night recently. He started throwing up at about 10 o'clock and kept at it for a couple hours. 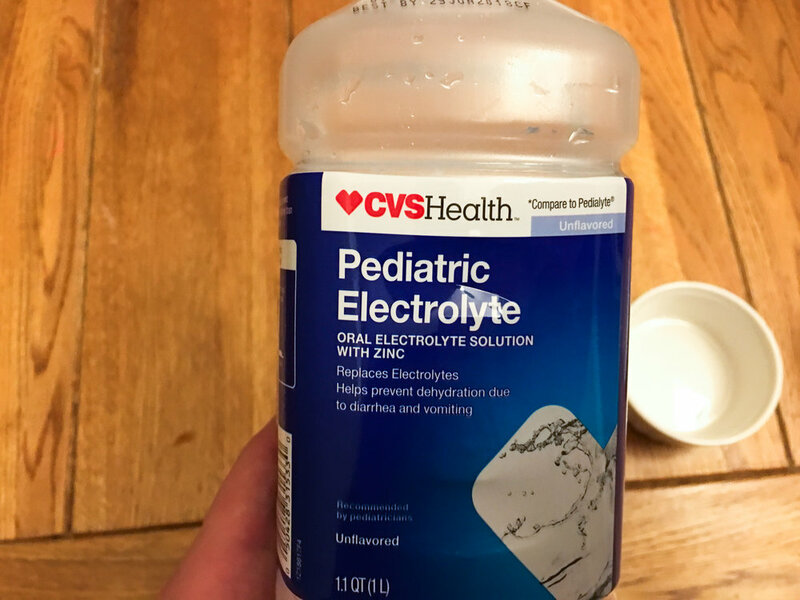 I made a late night trip to CVS to pick up some Pedialyte (actually a generic CVS version, Pediatric Electrolyte) to keep his electrolyte levels up in case things continued. The next day we took it easy indoors (it was -20 degrees outside) and his diet consisted of toast and apple sauce, but he was back to normal. We didn't end up using much of the Pedialyte. In fact, most of what we used was from me tasting it. On the label, there is a chart showing the electrolyte levels of various drinks with Pedialyte at the top of the chart. The chart made me wonder how well it conducted electricity (isn't that what you would wonder?). 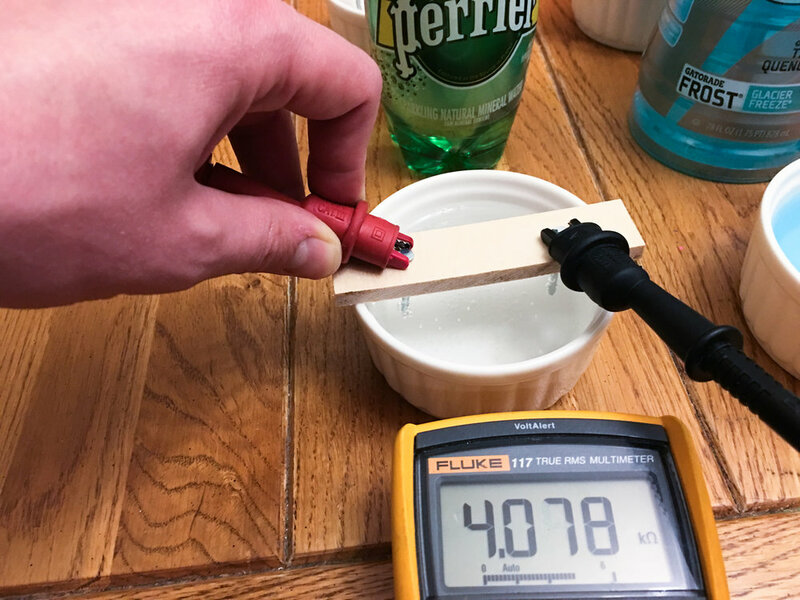 I started getting out my multimeter, and grabbed a couple wires so I could drop them in a cup of the stuff, when I decided to make it a little more scientific. How would my reading compare to my tap water? How about our reverse-osmosis filtered water? Water by itself doesn't conduct electricity well, it's the dissolved ions in the water, electrolytes, that make water seem like such a good conductor. How will the Pedialyte compare to my water? I needed a consistent way to take measurements. 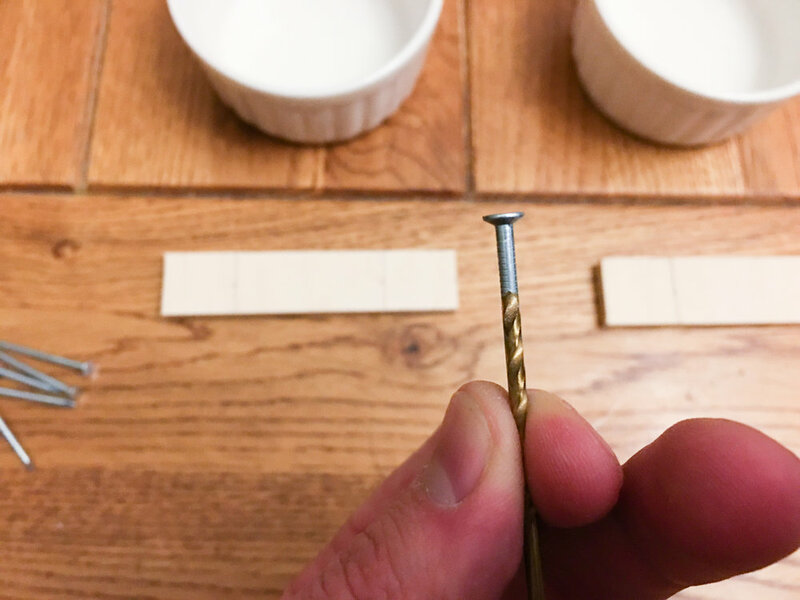 I grabbed a piece of quarter-inch craft wood and some nails I had in the garage, and drew out some measurements so I could make some evenly spaced electrodes. I made 3 pairs of electrodes, each spaced 2 inches apart. Each pair could sit on top of a ramekin filled with one of the three liquids (Pedialyte, filtered water and tap water). Then using my multimeter, I could measure the resistance of the solution. Resistance is measured in Ohms and is a measure of how difficult it is for electricity to flow through a circuit. 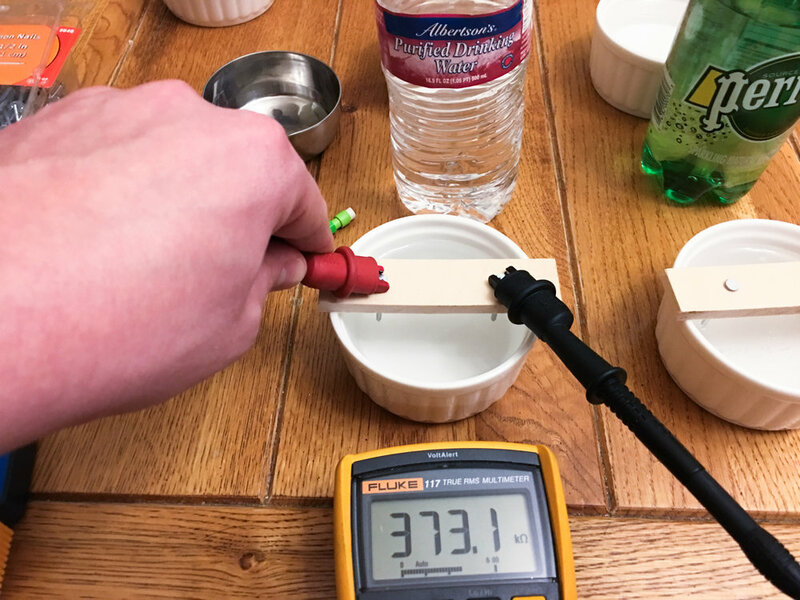 A lower resistance means better conductivity. If the chart above is correct, I would expect Pedialyte to have the lowest resistance. 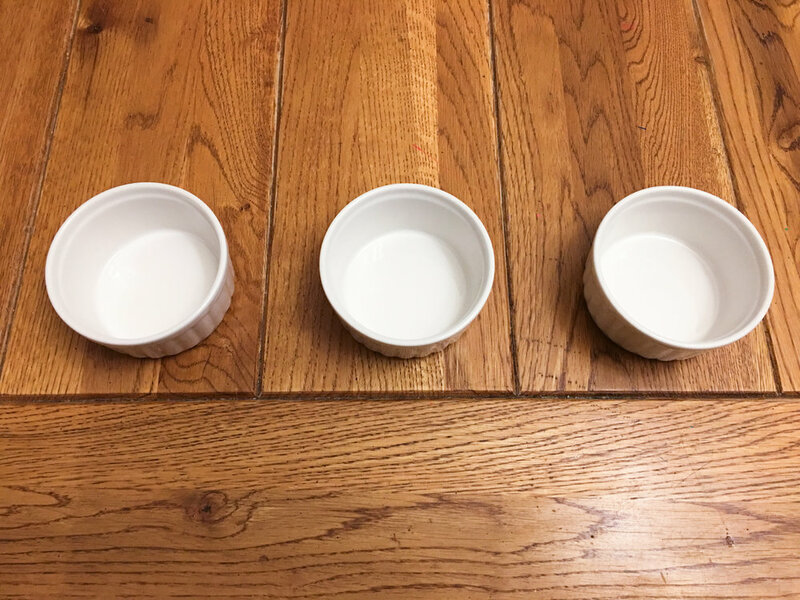 I set out three ramekins and filled them each with a half cup of each liquid. 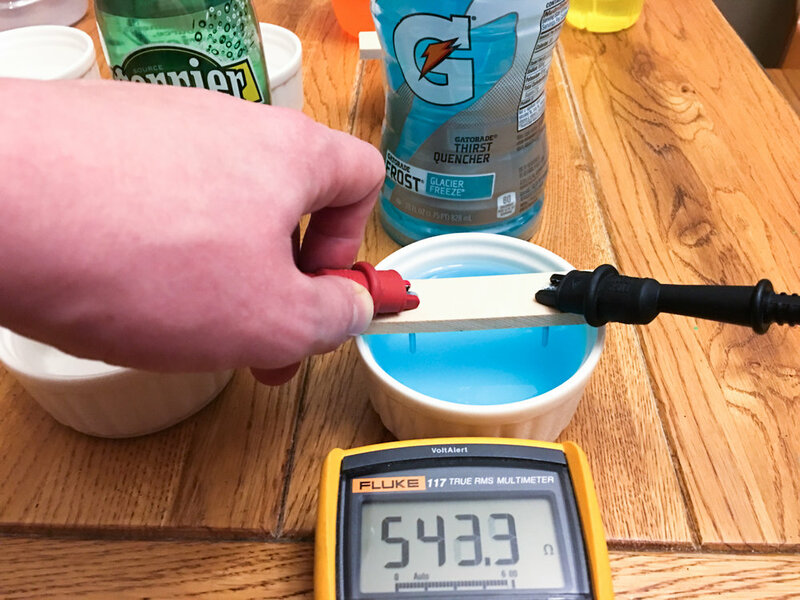 Then, using my multimeter, I measured the resistance of each liquid. I measured 78 kOhms (78,000 Ohms) for the filtered water, 45 kOhms (45,000 Ohms) for the tap water, and only 475 Ohms for Pedialyte. Things escalated from there. I raided the pantry and found various bottles of water that had accumulated from summer's barbecues. How did they measure up? There was a generic Albertson's water bottle, which claims to be "processed by advanced filtration, ozone, and reverse osmosis technologies". I measured its resistance to be 373 kOhms (373,000 Ohms). 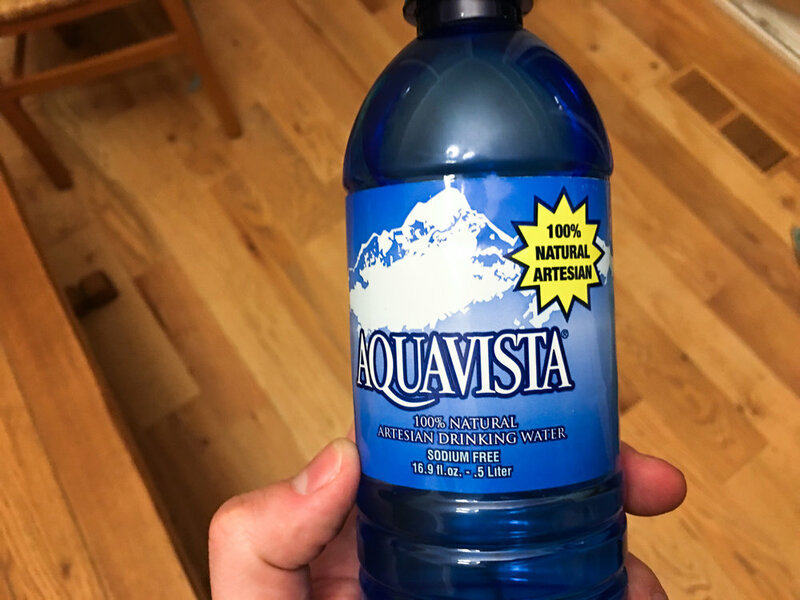 There was a bottle of Aquavista 100% natural artesian drinking water. I had to look up what artesian meant. Google came through: "Artesian water refers to water that comes from a confined, underground aquifer. Artesian water is naturally filtered, and is free of contact with the air or other pollutants." I measured its resistance to be 18kOhms (18,000 Ohms). There was also a bottle of Nestle Pure Life water, which says it could have come from various water sources in California and was "purified using reverse osmosis or distillation and enhanced with a balance of minerals for taste." Its resistance also measured 18 kOhms. In the pantry, I also found a bottle of Coca-Cola. We just about never drink soda, so I cracked it open in the name of science. I measured its resistance at 835 Ohms. Things didn't stop there. I remembered that during my late night CVS run, I also purchased a couple Gatorades in case my wife or I succumbed to whatever ailed our son. 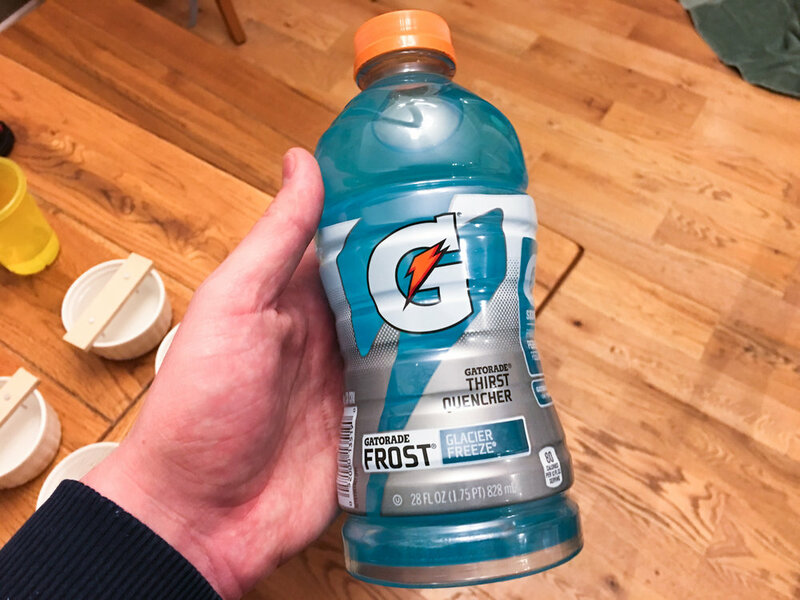 I already drank the red one, so blue would have to do. 543 Ohms. What else could I try? I opened the fridge to see what I could find. 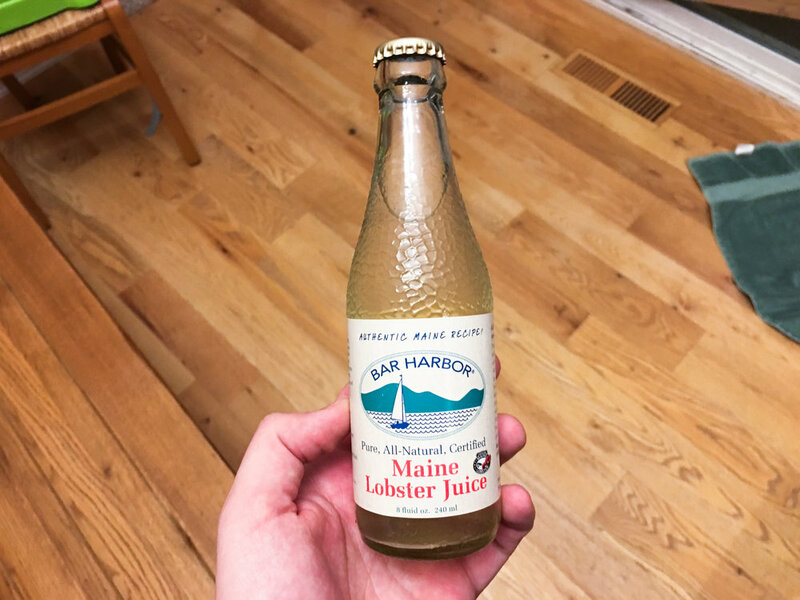 I found a gift from my father-in-law, Lobster Juice. I checked the expiration date so I could have an excuse to open it. 2017, no such luck. Oh well, for science! It also gave me an excuse to show off my sweet woven bottle opener that I designed and had 3D printed. The listed ingredients are lobster bouillon and sea salt, sounds like electrolytes to me! 220 kOhms (220,000 Ohms), not that many I guess (remember higher resistance means fewer electrolytes). The fridge also had some fizzy water. 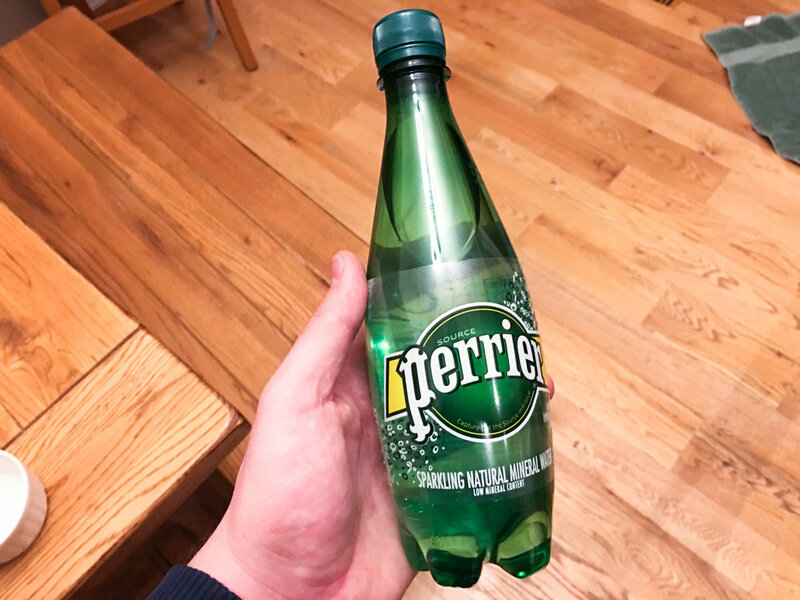 Perrier, "sparkling natural mineral water [with] low mineral content captured at the source in France". 4 kOhms (4,000 Ohms), more electrolytes than the lobster juice. What else is there?? I raided the bathroom and pulled out some mouth wash and rubbing alcohol. Alcohols are non-electrolytes, which means they don't break down into ions in a solution so they don't conduct electricity. The mouth wash says its 21% alcohol and the rubbing alcohol is 70% alcohol. How well do they conduct electricity? 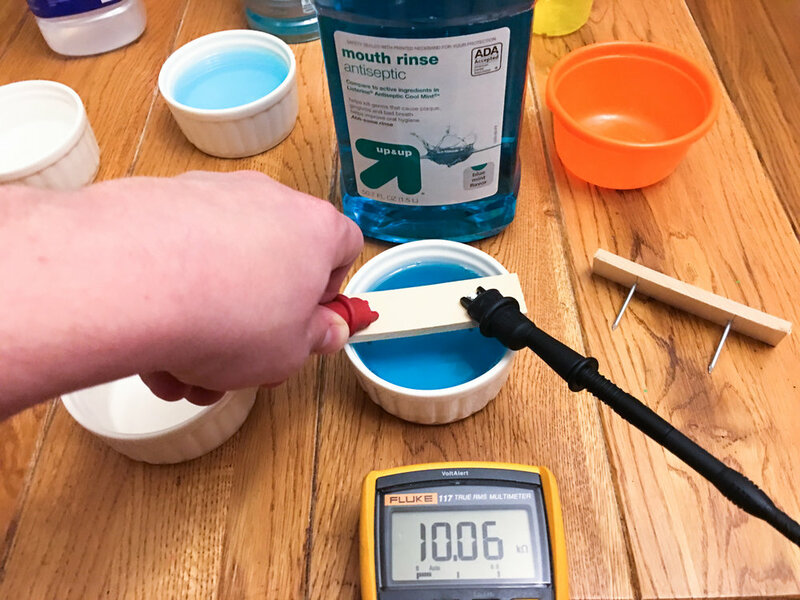 Mouth wash: 10 kOhms (10,000 Ohms). 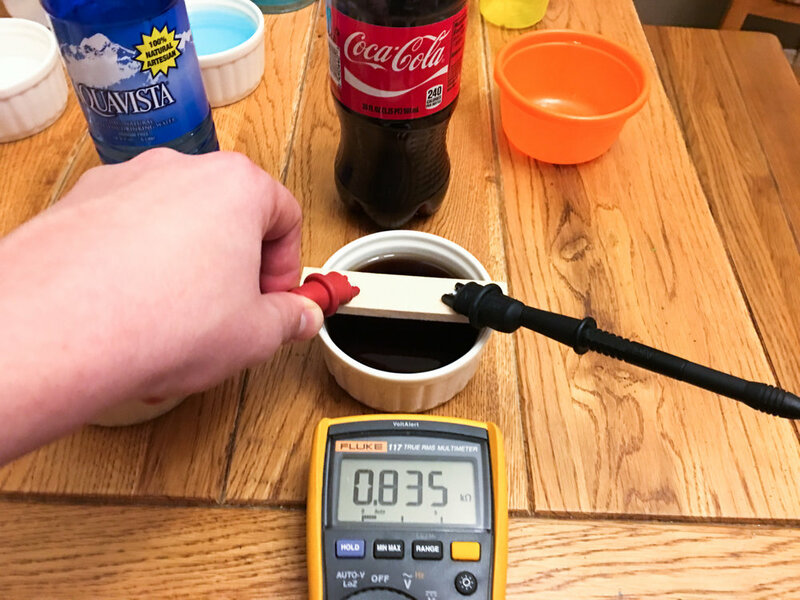 Rubbing alcohol: 1.6 MOhms (1,600,000 Ohms).